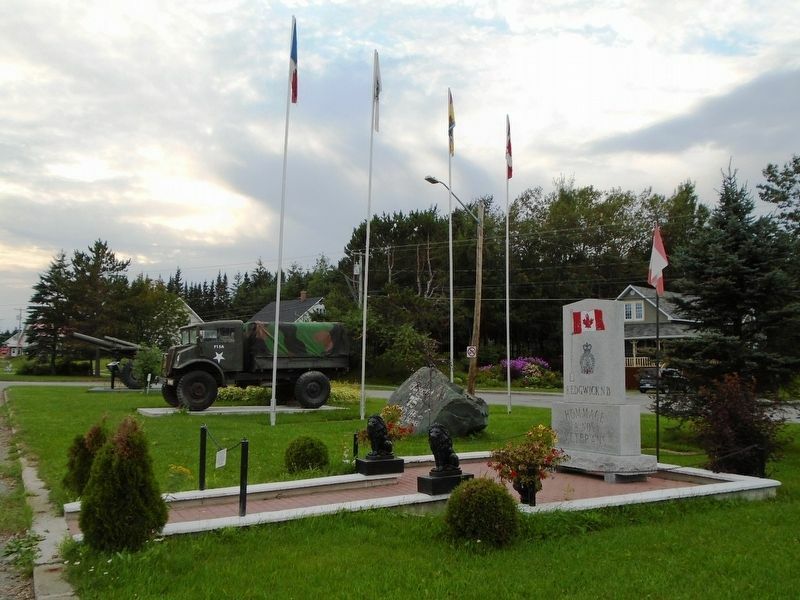 Erected 1992 by Royal Canadian Legion. Location. 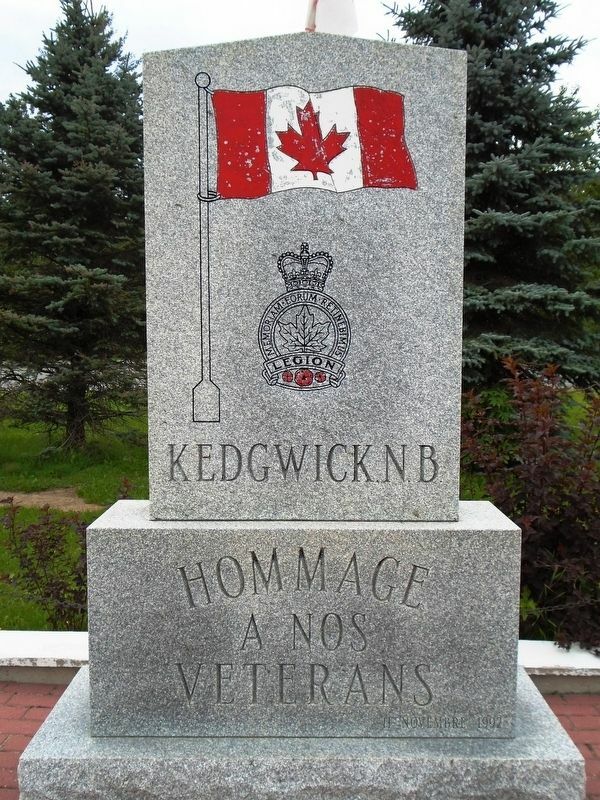 47° 38.764′ N, 67° 21.52′ W. Marker is in Kedgwick, New Brunswick, in Restigouche County. Marker is on rue Notre Dame (New Brunswick Route 17) just west of rue Saint Jean, on the right when traveling west. Touch for map. Marker is at or near this postal address: 196 rue Notre Dame, Kedgwick, New Brunswick E8B 0A4, Canada. Touch for directions. (approx. 15.2 kilometers away); La croix et le coq du clocher / The Steeple Cross and Rooster Vane (approx. 15.3 kilometers away). Credits. This page was last revised on October 31, 2018. This page originally submitted on October 31, 2018, by William Fischer, Jr. of Scranton, Pennsylvania. This page has been viewed 35 times since then and 4 times this year. Photos: 1, 2. submitted on October 31, 2018, by William Fischer, Jr. of Scranton, Pennsylvania.